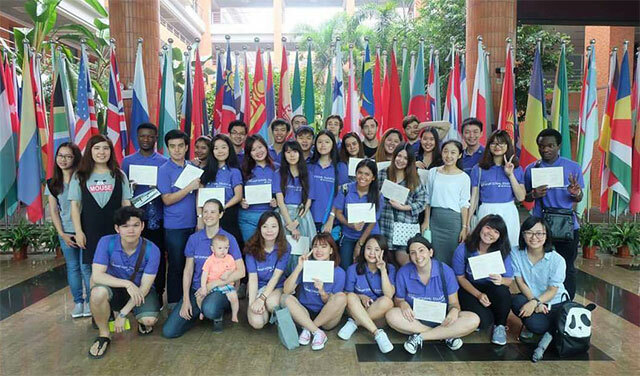 Short course abroad is a unique opportunity to focus on a particular topic in a greater depth and to experience world-class education. 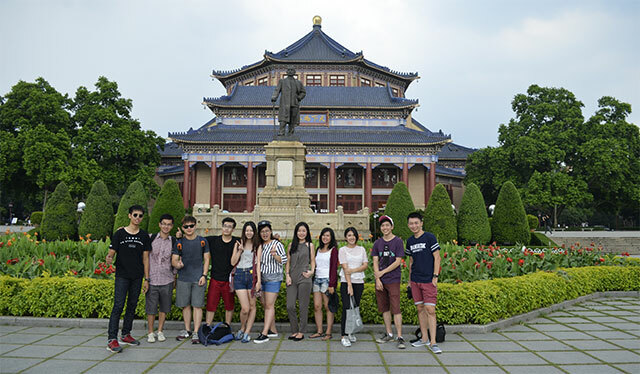 The program that I joined in South China University Technology, China provided an amazing opportunity for students to learn about Chinese language, history and culture. We had seventeen sessions in total in which we had intensive reading (Chinese language) class, and cultural lessons and activities like paper cutting, folk songs, calligraphy, martial arts (kungfu class), making Chinese knots and Beijing opera masks, introduction to Cantonese food and tea culture, and city tour twice a week! We were taught by 5 teachers and there were 48 participants in total, coming from Indonesia, Thailand, Malaysia, China, Vietnam, Russia, Italy and the United States. In the Chinese Language Class, we learned 4 tones of Chinese Language, Pīnyīn (chinese pronounciation), how to introduce ourselves, exchange money, order food, buy something, get discount, daily conversation, and many vocabularies. If we didn’t understand, the teachers would combine the instruction with some English and practices. The schedule was not so tight,so we still had a lot of free time to spend with our friends after we had lunch until the evening. 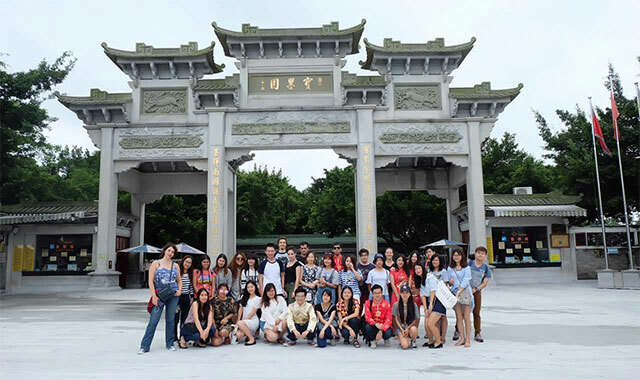 We went traveling to a lot of places in Guangzhou and had so many nice experiences. We went to visit Chen Liji Pharma Site & Herb Tea Museum, Baomo Garden, Guangdong Science Museum, Foshan, Ming Temple, Yuntai Garden, Baiyun Mountain, Shamian Island, Guangdong Folk Art museum, Five Goats Statue, Shangxiajiu Shopping Street, Beijing Road Commercial Street, Canton Tower, Sacred Heart Cathedral, Guangdong Provincial museum, LINE Friends Store Guangzhou, Six BanyanTree Temple and Sun Yat-sen Memorial Hall! Everything I learned in Guangzhou was unforgettable, those three sweet weeks in Guangzhou let me tick one of the things off of my bucket list. Thank you so much BINUS UNIVERSITY for giving me the opportunity to join this program. I came home bringing so much great experience, not only academically but also personally through traveling and friendships. I hope all of you would strive to get international experience as BINUS UNIVERSITY provides you with lots of chances to be internationalized. Be brave, don’t worry to try something new and make your dreams come true!